Property developer Cebu Landmasters Inc. (CLI) is building a portfolio of office, retail and hotel property assets to create a stream of recurring earnings that would account for about a tenth of total business by 2023. In a disclosure to the Philippine Stock Exchange on Thursday, CLI said that by 2023, gross leasable area would breach the 200,000-square-meter mark. Jose Soberano III, CLI president and chief executive, sees the company further expanding recurring income streams within the next four years as it completes the following projects: Base Line HQ, Latitude Corporate Center, The Plaza at 38 Park Avenue, Astra Centre Lifestyle Mall, Astra Corporate Center, The Paragon Davao Lifestyle Mall, The Paragon Convention Center, and phase 1 of the Davao Global Township. Astra Centre Lifestyle Mall, located on A.S. Fortuna Street in Mandaue City, with a gross floor area of 14,000 sqm, is CLI’s first lifestyle shopping destination and is targeted to be completed by 2021. Last year, CLI turned over 2,655 sqm of floor area, a portion of the retail area in Base Line Center, to Robinsons Supermarket. This increased the company’s gross leasable area by 33 percent to 8,952 sqm. 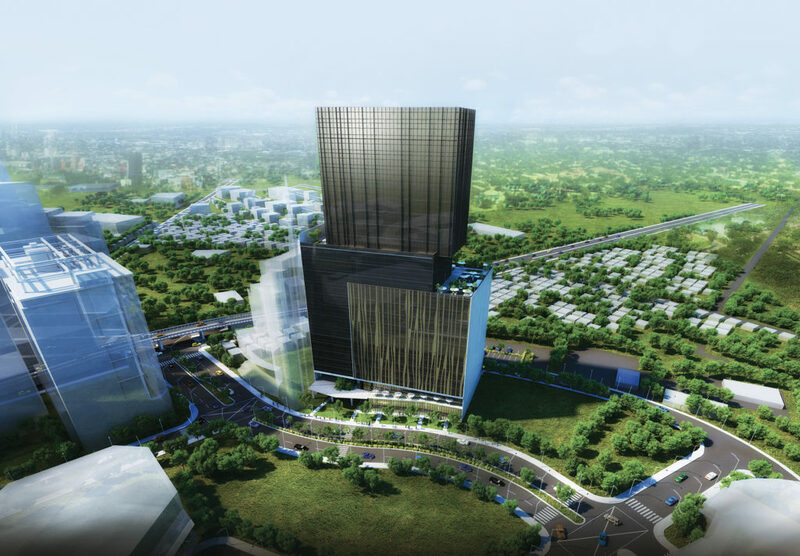 Once fully operational, Base Line Center—CLI’s first mixed-use project—will feature over 4,700 sqm of office spaces and 5,900 sqm of retail area. The company also offers retail spaces in its residential condominiums, contributing 500 to 1,000 sqm of CLI’s gross leasable area. “Our leasing business complements our residential developments, allowing us to provide complete and gratifying experience to the communities that we build and customers that we serve,” said Soberano. In addition to leasing, CLI also looks at generating more recurring earnings from its expanding hotel portfolio. It expects to operate over 1,000 hotel rooms within the next four years. “With the continuous growth of the hospitality industry in (Visayas-Mindanao), demand for hotel rooms will definitely rise. Cebu Landmasters is at the forefront in providing what the market needs, especially those that travel a lot, from hotel rooms to serviced residences,” said Soberano. Citadines Cebu City, CLI’s first of the four hotels to be managed by The Ascott Ltd., will be operational this 2019 with 180 hotel room units.